Broadly speaking the reintroduction of January AGM’s has been a success for Everton. For one thing it has helped overcome the perception that the club were unwilling to communicate with supporters enough (or at worst were secretive). What we now have is an evening ran in a slick and positive way allowing each board member to outline their analysis of how the year has gone and what they look forward to moving forward. The event itself always looks an enjoyable evening. Held in the centre of Liverpool it is as much a celebration of the City as a celebration of the football club and has helped strengthen roots in the local community. Though the creative positivity that abounds from AGM’s can put some people’s backs up, at a core level I have no issue with the approach that is adopted. It is a PR opportunity, arguably the best opportunity for the club to outline a positive vision that can begin to be spread amongst both the local fanbase and the wider media. To her credit, new CEO Baxendale is an eloquent and positive speaker and is an adept front person in such meetings. Alongside the clubs right to run a PR exercise, is the fan’s right to critically engage with the output and ultimately look to hold the board to account for some of the promises. That is the job of all Evertonians. Tattoo the motto onto your memory and hold all within the club to it. As AGM’s go I felt there were several interesting take away points. Whether it was Farhad Moshiri’s talk of how spending money alone (badly) would not help the club, Denise stating that the club were aiming to win the league within 10 years, or the outline of recruitment strategy (and subsequent promotion to the board) from Marcel Brands-they all hinted at a broader strategy emerging At Everton. A strategy that hints at moving away from the ill fated attempt at an arms race with some of the elite Premier League teams towards a more bespoke and youth orientated approach to the playing side of the club. It’s worthwhile noting that the change espoused in the AGM came earlier in the summer. A constitution of a new Board, a New CEO, a new DOF and a New Manager (who’s remit appears to be a more European Head Coach role as opposed to the previous managers). That change was cemented by the appointment of Marcel Brands to the Board of Directors, who is now one of the most influential Directors of Football in English Football (being one of the few to sit at board level). The first summers activity was a hint towards the change in approach that seemed to be being outlined in the AGM, with a younger set of players coming in. For Farhad Moshiri’s part, it’s easy to see where the desire for this change came from. Everton currently have Martina, Williams, Bolasie, Mirallas, Niasse & Sandro out on loan and are currently trying to shift Morgan Schneiderlin (and in all likelihood Cenk Tosun & James McCarthy). The wages each is being paid is a central factor in the difficulty to sell the players and next summer the same problem will be repeated whereby most of the players will be returning to the club where Brands time and energy will have to be spent trying to move them on again to create space for newer/younger players. The majority of the names on the list were signed after Moshiri’s arrival and at a cost of £120 million it’s difficult to see Everton making anywhere near half of that back on the players. Had Everton overpaid for younger players on lower wages it would at least be easier to move them on and potentially recoup much of the fee (particularly if a coach is employed who can improve younger players by utilizing potential. Whether this formative experience of club ownership underpinned the desire for the structure we now have, or that whether it was always his preferred option but personnel in roles previously struggled to administer it is an open and interesting question. It has significance in as much as if it were always the plan the judgement of Moshiri does have to be flagged. Not only were Walsh and Koeman poor appointments but completely the wrong type of appointment. If you wanted to sign younger players, why employ a manager who constantly bemoaned the lack of experience his team had and his desire to sign experienced Premier League players? This season there has been some shift towards how a new younger, leaner Everton may look. They have found a young manager who seems at home on the training pitch trying to improve younger players. The average age of the side this season across the season is under 26 (25.93) and is the youngest in the league, as well as the only side under 26. To me we need to go further on this, when looking at sides such as Dortmund they have a side with an average age of 25.13 and some German sides even fall below the 25 mark. Other sides who have championed this approach are Monaco (25.43) Atletico Madrid (26.71) & Leipzig (24.43). While it’s true the first steps in the shift seem to have been taken there is a lot further to go. It will be interesting to see exactly how the transfer policy develops over the next 2 windows to see how far it is in keeping with the broad outline given by the club at the AGM. While last summer all of the players signed were under 26, most of the were over 22 (with Richarlison being 21). Whether Everton will continue to look for value on players in their early 20’s will be interesting. Likewise it may be that Everton look to aggressively pursue some of the world’s best youngest players (under 21) presumably with an offer of first team football that the top teams cannot provide. It remains difficult though, if we consider Joao Felix who we were recently linked with is now being reported is the product of a failed £61 million bid from Liverpool. How far Everton can shop in this market remains up for debate. Perhaps a challenge for Brands will be to look to “buy from source” and look to position Everton as the first club a young player signs for when entering Europe, though the likely complications on work permits will cause as many challenges as convincing players to join in the first instance. Likewise there will continue to be pressures on moving players on. One unescapable truth is for clubs such as Dortmund or Atletico Madrid there was a common acceptance as a club that selling star assets remained a key part of the business strategy. If Moshiri is looking to stop having to underwrite transfer spending (or at least greatly reduce it) and in lieu of the sort of commercial development that we require then moving players on is one key source of potential liquidity. The brutal truth that the sort of players we are happy to lose (players not deemed good enough for our first team) are unlikely to generate significant (or indeed any) funds. Why would other Premier League sides pay significant fees for a side who are half way up the leagues caste offs? It puts a pressure on the more saleable assets if we wish to continue to have the flexibility to invest. If such a shift is rolled out uniformly across the club it will not be without challenges or frustrations for supporters. Top players leaving and not directly replacing them (a policy adopted by Dortmund and hinted at by Moshiri who rightly pointed out we couldn’t afford to replace Lukaku even if we tried) is unlikely to be an instantly popular one. There is an an enormous pressure on the board to communicate more clearly it’s vision if it wants to keep supporters on side with the program. Likewise the patience required to see young players develop (a key pillar with which the strategy is built upon) is not in enormous supplies from many Evertonians who rightly feel the club has waited too long for success. Managing the expectations of supporters and communicating in a clear and understandable manner why the decisions are being taken may well be the biggest challenge. Such an approach is ultimately a longer one, but if the club becomes beset with short term crisis’s (often emerging from supporter expectation) then effective long term planning will often go out of the window. 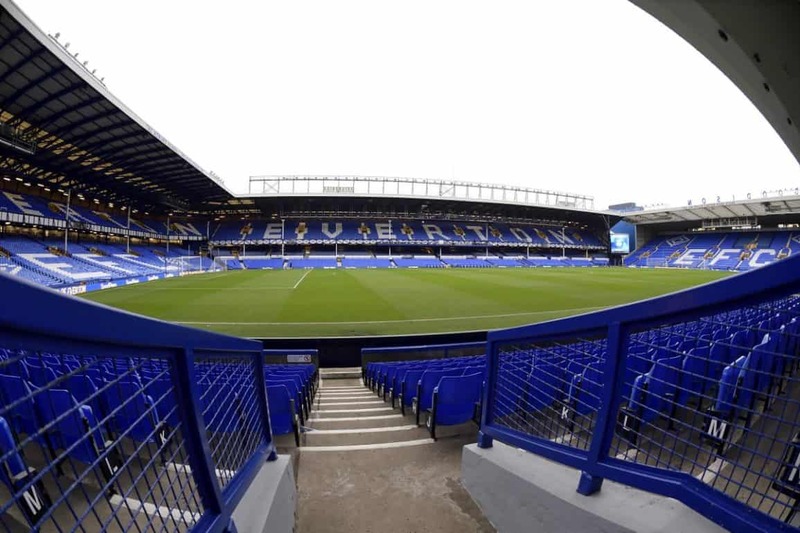 Yet in spite of these challenges it is hard to arrive at the conclusion that it is the only way Everton can go if they are serious about trying to win trophies again. Even if Moshiri continues to generously pour money into the club (for which he has said he won’t) Everton cannot win an arms race with the 5 other teams on that basis alone. Any injections of capital from Moshiri will be increasingly placed on construction and alleviating any acute crisis of liquidity that may emerge, rather than a stock buffer to rely upon each window. The club though have made significant strides in 6 months, if only to get the average age down to the lowest in the league. Continuity is key to ensuring those younger players we have in and around the squad (Lookman, Richarlison & Calvert Lewin to name but 3) live up to their potential. Further strides are needed and better performances and results will need to be seen by the end of the season under Silva. However the outline of what the board is trying to do makes sense, we now need to see it enacted with consistency and good sense that was missing for the first 18 months of Moshiri’s reign.